TOMS RIVER — The 11 victims of the Pittsburgh shooting at the Tree of Life Synagogue were remembered on Sunday at temples around New Jersey on Sunday as leaders tried to find the words to comfort their congregants and keep them safe. The Chabad Jewish Center in Toms River hosted a meeting about security attended by Ocean County Sheriff Mike Mastronardy and Rep. Tom MacArthur. Lakewood Police chief Greg Meyer earlier told the Lakewood Scoop that visible and undercover security has been stepped at Schuls (temples) and large gatherings in the township with a large Jewish Orthodox population. 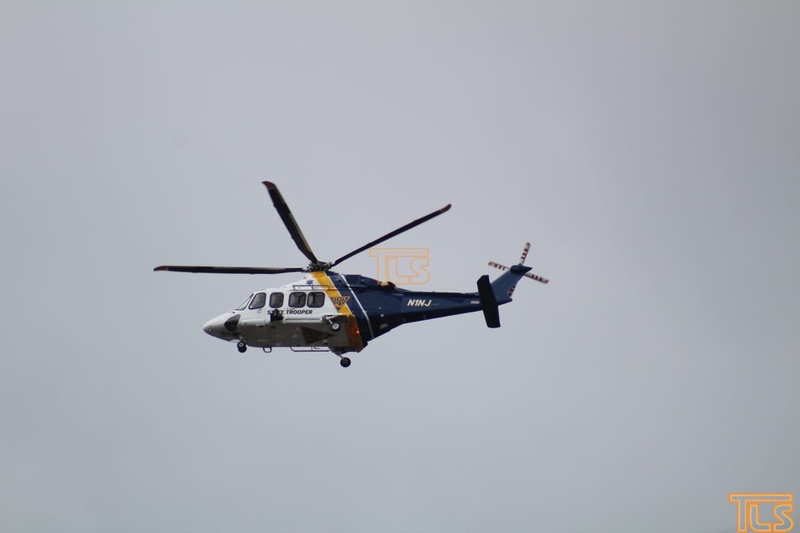 The Lakewood Scoop posted a photo showing a State Police helicopter flying low over Lakewood, a community with a large Orthodox Jewish population. The Marlboro police department said it has increased visible patrols at all of the Jewish related houses of worship within the Township. "Citizens are reminded to be vigilant in reporting suspicious behavior to the authorities," spokesman Fred Reck said in a statement. "Our thoughts are with the fallen, the injured, all the families impacted, in the shooting at the Pittsburgh synagogue today. We will have an increased presence around all our houses of worship this weekend to reassure our community," South Brunswick Police Chief Raymond Hayducka said in a message on the department's Twitter account. Saturday's shooting especially hits home for Rabbi William Gershon of Congregation B'nai Israel of Toms River. "Rabbi Hazzan Jeffrey Meyers, the rabbi of the congregation, is an old friend and I have reached out to him to offer our condolences, support and love," Gershon wrote on the synagogue's Facebook page. "We must not allow hatred and evil to thwart the eternal message of the Jewish people— a message of tolerance, human dignity and hope," Gershon wrote. The synagogue is hosting an interfaith candlelight vigil in memory of those killed on Monday night at the synagogue on Old Freehold Road at 6:45 p.m.
Phil Brilliant, B'Nai Israel's president said the shooting was not only an attack on the Jewish community but on "soft targets in America" that are tough to constantly watch. He said Saturday's shooting took place at a baby naming ceremony, one of the highest points of a congregant's life. "And a second later you're at the lowest point of life when someone is taking a life from you and threatening your life. Security is on Brilliant's mind daily and said Jews need to be "ultra-protective" of their homes and their church home. "You want people to think that when they walk into a sanctuary of a religious institution that they're going there to be close to God and that they are safe and secure and it's a balance that we take up every day and I think about it all the time." He said that Toms River police did extra patrols all weekend and was on high alert. He also has a congregant who puts a rock in the door because it's convenient for him to bring things in-and-out of the synagogue. "You can spend all the money in the world, you can do everything you want to do to be protected. Somebody who blocks a door open bypasses everything and at that given time if somebody wants come in they can come in," Brilliant said. A community prayer service is also scheduled to be held on Sunday at 5 p.m. at the Nassau Presbyterian Church in Princeton.